To recognise the importance of Shanghai as import and export hub of the world, to serve our small to medium size the foreign company who do not have internal logistic team, our trading support service is definitely a cost efficient, effective and reliable choice. We are an international professional Import/Export agency in China which is approved by the Ministry of Commerce of China and has more than 10 years history. 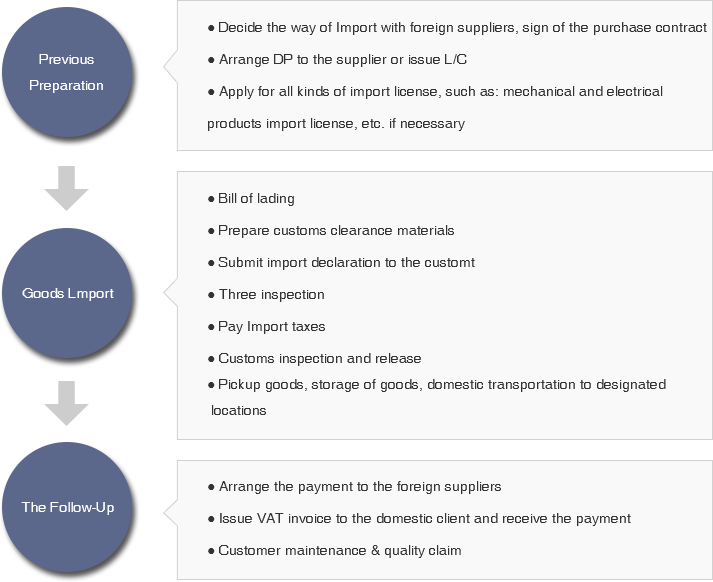 We are not just a Trading agency, but your business partner in china with international vision and network, guiding you how to choose your suppliers and products, how to minimise your shipping cost, how to consolidate your purchased products into one container or even one LCL shipment, how to prepare the professional Import/Export documents for customs clearance, how to deliver the goods to your final destination.